Just a quick post on a ULTA coupon. CLICK HERE to get to the coupon redemption page. Which should look like the picture above. Click Apply, and Print your coupon that can be used in store or online. If you're a rewards member, you'll get 20% off coupon to use, and if you're not a rewards member, you'll get the 15% off coupon. Thanks to our facebook fan, Jenni for sharing this with us. 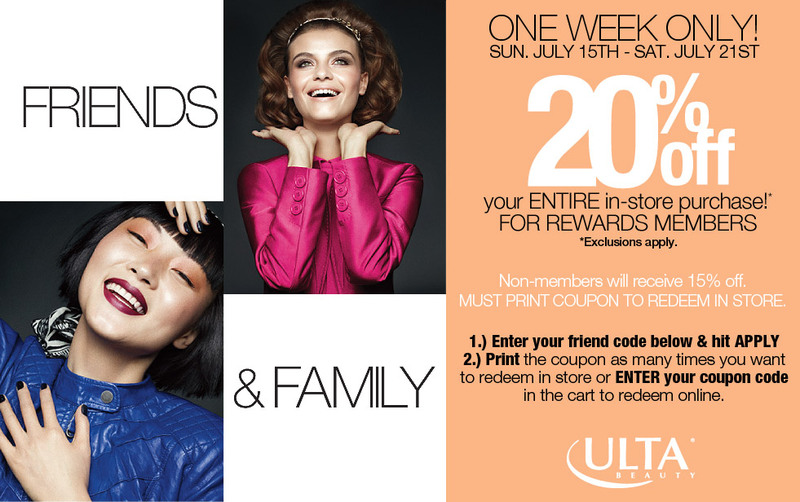 HAPPY SHOPPING, and Share this with your friends and family who shop at ULTA.